Bahrain Confidential > Articles > Lifestyle > Travel & Leisure > Georgina Jennsen tells you how to pack the perfect suitcase! Georgina Jennsen tells you how to pack the perfect suitcase! Most of them are related to long distance travel, and one of them is packing a perfect suitcase. I have to admit I’ve learned the hard way – whether it be dragging a two-ton two-wheeled case through the cobbled streets of Venice in full summer, or carting around a case full of cool weather clothes when all I really needed was a bikini and a passport. 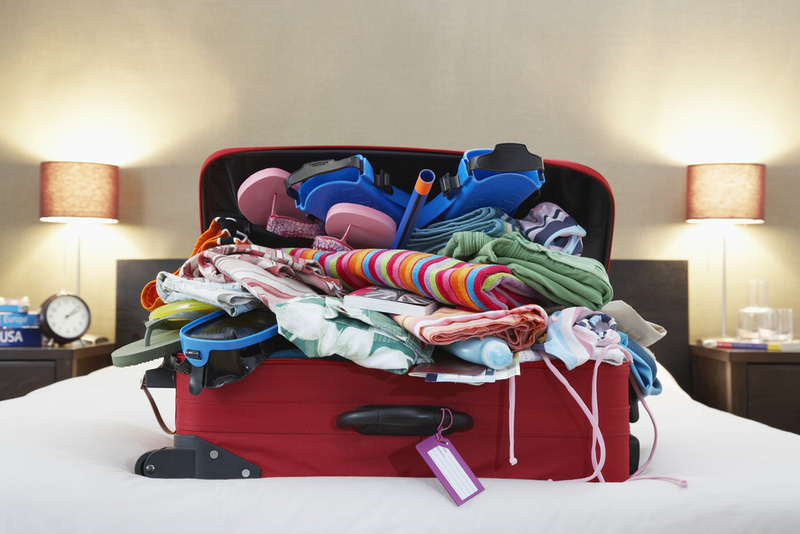 So here are my top 5 tips for packing perfectly. There’s nothing glamorous about toting around a tatty case, and buying budget is usually false economy so treat yourself to something decent. Delcey, Rimowa, Samsonite etc., preferably with a matchy-matchy cabin bag. 4 wheels trump 2, and hard cases trickier to break into than soft. Plan your packing ahead of time. Download the weather app for your destination, analyse your itinerary and lay your chosen wardrobe (smalls, shoes and all) out to scrutinise carefully. Less is more here, so remove anything that you’re considering “just in case”. Your clothes that is. You’ll fit more in, and they’ll crease less. This means nothing in your case that you couldn’t bare to lose, that’ll break if thrown about (because your case WILL be thrown about), or is likely to leak and wreck havoc on your holiday wardrobe. Don’t check in any essentials. Keep your phone charger in your carry on, as well as lip balm, B.O. buster, a warm scarf that can double as a pillow and a good book. All of these make unexpected and lengthy delays in airport lounges just a teensy bit more tolerable.